ALTBalaji is riding high on the success of Gandi Baat Season 2 as it came out just a few weeks back. The series has become most watched digital content in a short span of time and reason behind the success is its mass appeal. The series revolved around bold and sexual content that also made it widely popular in both urban and rural areas. Now building upon the strong opening it has received the streaming giant is all set to woo the young audience with upcoming series Punch Beat. The trailer for the same was revealed today and give us a good glimpse into the story of the series. 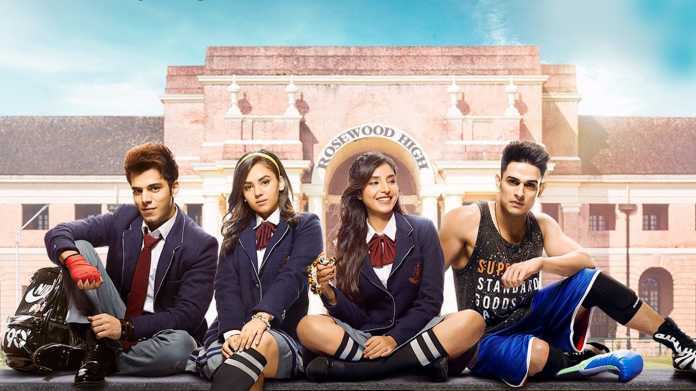 The series is created by Vikas Gupta which comprises of young actors namely Priyank Sharma, Siddharth Sharma, Khushi Joshi and Harshita Gaur in the significant roles. From the first look, the series has lots of similarities to Karan Johar produced Student of The Year. The story revolves around the students of Rosewood High an elite school whose students doesn’t have a slight resemblance to what normal school student looks like. The series is packed with over the top acting, dance numbers, smooching and boys flaunting their abs. Punch Beat looks like to be highly unrealistic series that has boys & girls making out like anything. I would have swallowed the concept if the series was set in a college. In between all this Punch Beat also explores the love triangle and the two male leads will resolve the fight through a boxing match. The concept and story of this ALTBalaji series is mediocre and there is nothing in it that will entice the interest for me. However series will find the audience and aggressive marketing by the streaming service will make it a hit. What are your views on the Punch Beat series? Do let us know in the comments below. Download Razer Phone 2 Wallpapers Full HD. Avengers: Infinity War Gets An Epic Blu-Ray Trailer!